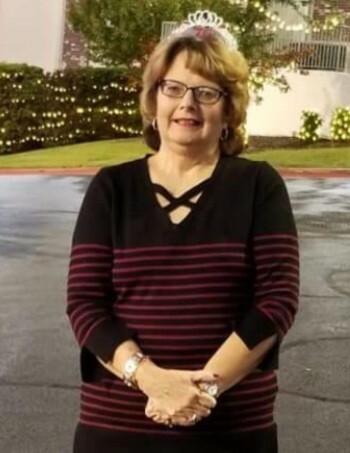 Funeral services for Carolyn J. Daniel, 70, Kirbyville, will be held Tuesday, Feb. 12, 2019 at 10 AM Snapp-Bearden Funeral Home and Crematory, Branson. Michele O’Dell will officiate. Burial will follow in the Ozarks Memorial Park Cemetery, Branson. Mrs. Daniel entered into rest on Thursday, Feb. 7, at Mercy Hospital, Springfield. Carolyn Jean Daniel was born Oct. 27, 1948 at Ft. Leavenworth, KS. She was the daughter of Lewis and Wilma (Harrison) Hall. Carolyn married William G. Daniel on June 26, 1967 in Fort Rucker, Alabama. She had ministered with her husband at the Hiding Place Ministry Center in Forsyth during the late 1990’s and early 2000’s. Carolyn attended the Faith Wellness Church in Branson. She was a great witness for the Lord everywhere she went. Carolyn was a loving mother and grandmother. She took great joy in spending time with her family. Carolyn is survived by her sons William Daniel, David Daniel both of Branson; John Daniel (Debra) of Minooka, Ill.; Michael Daniel (Karista) of Ozark; step-son, James Manley; two brothers Robert Hall (Paula) of Montgomery, Ill.; John Hall (Valerie) of Elwood, Ill.; three sisters Janet Algmin of Warrenville, Ill.; Linda Kuchenbecker (Ken) of Tinley Park Ill.; Cindy Dean (Jim) of Dubuque, Iowa; and five grandchildren.